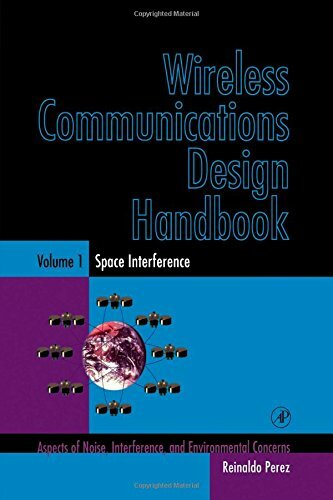 Amazon.com description: Product Description: Volume One of the Wireless Communications Design Handbook provides an in-depth look at interference problems in satellite communications. The material presented is from a satellite or spacecraft hardware point of view rather than from theoretical models. Each satellite subsystem is described in detail to point out interference and noise problems associated with it. The book also addresses typical architectures and hardware design issues in satellites. In addition, a detailed look at space interference is discussed with emphasis on the possible impact on satellite electronics.